It all started in 1936, with a telegram to Tryggvi Olafsson from E. C. Wise, representing the Upjohn Company in Michigan, USA. Wise asked if any cod liver oil was available in Iceland, as Upjohn needed a new supplier. The vitamin D content in the oil they had previously bought from Norway had dropped drastically. Olafsson did not have a factory, but he had a building site and along with his wife he travelled to Norway in 1937 to select and order machinery. LYSI was then formally established on January 10th 1938. The demand for cod liver oil was high due to the need for vitamins A and D. LYSI soon became the largest producer of cod liver oil in Iceland. Most of its production was exported to the USA, although during World War II there was an agreement between the governments of Iceland and the UK that the latter would be allowed to purchase half of all production during the war. Demand for cod liver oil decreased considerably around 1950 and prices plummeted. The recession in the market for cod liver oil continued. Despite this, LYSI proved profitable and began the production of winterised medicinal cod liver oil in consumer packaging. Around 1960, a laboratory was established and regular research into cod liver oil commenced. Ever since, the domestic market has played an important role as a benchmark, being an important testing ground and research area for the company. In 1979 scientists concluded that consumption of fish lipids reduced the risk of coronary diseases. This had a huge impact on consumers and the popularity of cod liver oil grew once more. LYSI increased the emphasis on research and development, with the result that LYSI is today one of the leaders in know-how in the field of omega-3 and its utilisation. A new era in LYSI's history, where sales have rapidly expanded and research and product development is stronger than ever. 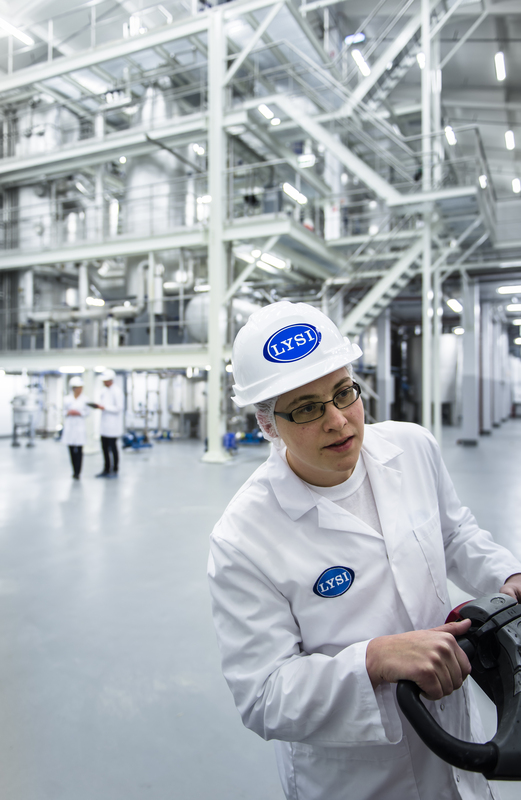 In 2005 and 2012, LYSI inaugurated new processing plants, uniquely equipped and utilizing state-of-the-art technology at all stages of processing. The company's sales and marketing efforts received recognition in 2007 when LYSI won the President of Iceland's Export Achievement Award.